Video has replaced photographs as the number-one way to demonstrate your product and to help it appeal to potential users. Many retailers have created product videos for product pages, landing pages, and other areas of their websites, and they've seen consistent AOV increases right after launching their videos. Measuring your videos' impact on your marketing campaign will help you to keep your goals on track. Use the following metrics when you launch your next video to measure your video’s impact an find the best mix of factors to help with conversions. Start by testing conversion rates. You'll need to know your conversion rates before you launched the video, so collect that data in preparation for the reveal. After you upload your video, pay careful attention to conversion rates. You might see a sharp increase right away, a steady increase over time, or no change at all. Some products lend themselves to video more than others. Additionally, factors like quality, length, visibility, and target audience can impact a video's effectiveness on conversions. The A/B testing of before and after rates will help you get a big picture view. You can create a longer video, then cut it down in post-production to different lengths. Cut out unnecessary footage to make it as short as possible, then release longer cuts for multiple rounds of A/B testing. Research shows that, when it comes to product videos, most customers only watch closely for about 10 seconds. After that, they might pause the video or let it continue to play while they look at other things. 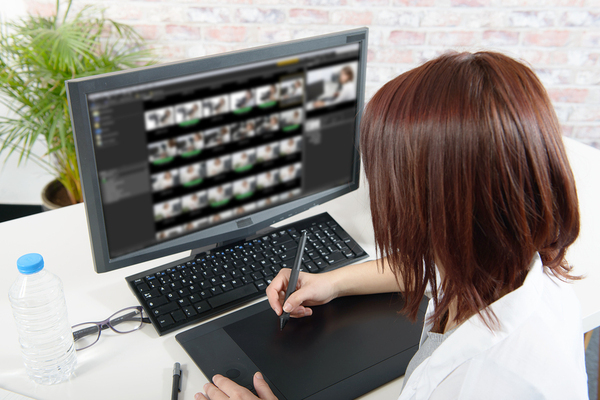 Ideally, keep product videos to between 15 and 30 seconds. During A/B testing, compare metrics like engagement rates to determine how each video impacts your campaign performance. Ideally, videos should improve ROI. Even though you spend money to create videos, sales and revenues should more than replace the added expenditures. Start with a baseline ROI from before you shot and uploaded the video. After you launch your video, pay attention to engagement rates, especially at the top of the funnel. You'll start to see patterns that revolve around your video, such as engagement rates right before the sale. Use Google Analytics to analyze user sessions. You'll see different metrics depending on whether you're bringing in repeat customers, new users, or retargeted prospects, but you can still gauge the video's overall effectiveness in improving ROI. You want the video to usher customers down the funnel once they're exposed to your brand. You can retarget them as necessary through paid social and paid search to bring them back to your product pages. Certain metrics are more useful than others when it comes to video. Bounce rate is key. If users spend more time on the pages, or if they look at more pages during a single session, you can infer that the videos have created a sense of magnetism for the viewer. The more you play with product videos, the more you'll learn about what to expect. For more tips on increasing conversion rates, download our special report: How to Convert: Top 10 CRO Tips.